When living with a rare disorder, conditions that even most doctors have never heard of, being recognized, acknowledged, and understood is difficult and sometimes impossible. With advancements in technology, individuals have more creative freedom and ability to tell their stories – rare or otherwise. 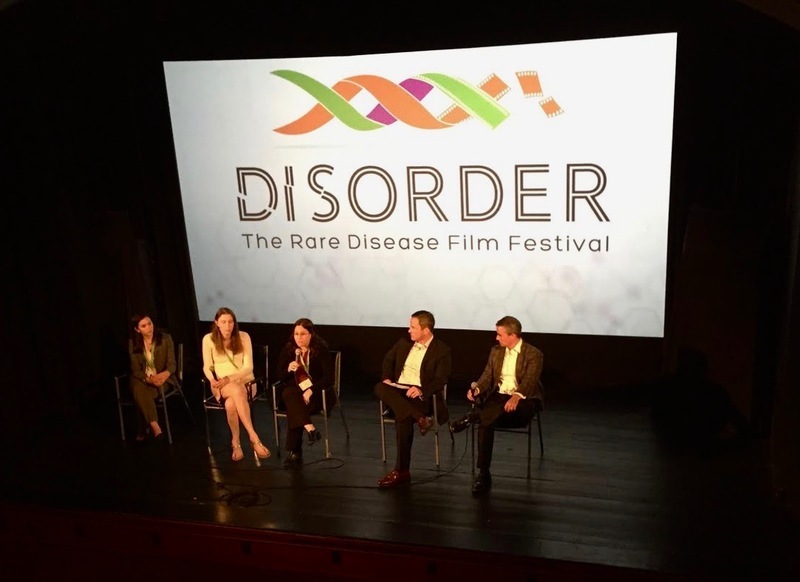 On October 2nd and 3rd in Boston, DISORDER, the first Rare Disease Film Festival thrilled and inspired moviegoers, shining a light on the lives of individuals and families dealing with unique challenges and successes in coping with a rare disease. The festival was founded by two parents of children with rare disorders. Daniel DeFabio whose son has Menkes disease, a rare disorder that affects copper levels in the body and can lead to many different symptoms, and Bo Bigelow, a father whose child has an extremely rare neurological disorder called USP7. The films covered topics ranging from cystic fibrosis to USP7, a condition so rare only a handful of families around the world have been identified with the disorder. The movies gave audiences a brief glimpse into the lives of such families. A movie called Saving Sight detailed the fight to develop a treatment for a slowly-progressive eye disorder called choroideremia. The movie chronicles patients with slowly progressive vision loss who, after years without a treatment, go from resignation to tentative feelings of hope, as a potential treatment emerges. Bo Bigelow’s movie, Tess is not Alone, summarizes his family’s journey from having a daughter with an undiagnosed disorder to the identification of the gene and the discovery of other affected individuals and families. Bo and his wife used the extended reach provided by social media to first obtain the diagnosis and then to find other families after being told that no one else had ever been identified with this gene mutation. Daniel DeFabio’s short documentary covering Menkes disease, the rare disorder affecting his daughter. Narrated by Oscar nominee Mary McDonnell, the movie explains that Menkes disease is usually fatal in childhood unless diagnosed and treated within the first 10 days of life. While journal articles and newspaper stories have given us a glimpse of the lives of rare disease patients, the movies, some written and directed by patients, provided much more. They showed a rollercoaster of pain and joy, frustration and determination, love and dejection, tears and laughter, and despair and hope. The festival took place in Cambridge over two days. The first day was held in a modern the Roscoe O. Brady conference/screening room at sanofiGenzyme, a biotech company with a focus on rare diseases. The second day was at the Brattle Theatre, a small independent theatre near Harvard that added ambience and intimacy to the showings. A special aspect of any film festival is the presence of directors, medical professionals, patients, and family members who participated in panel discussions. One young woman, Michelle Hall, with epidermolysis bullosa (EB) shared details of her life, struggles and triumphs. EB is a condition where the skin is extremely fragile, blistering and eroding from even minimal friction or contact. Another unique moment, involved Dalia Flagert, a young girl with MERRF syndrome, a rare degenerative mitochondrial disorder that has left her in a wheelchair. The nonprofit foundation Magic Wheelchair created a custom-made My Little Pony costume that attached to her wheelchair. The sheer joy on Dalia’s face when she saw the gift showed how children – whether healthy or fighting an illness – have the same desires and fears. Based on the success of this initial festival, the organizers are planning for more. This includes a special project where they are soliciting 7,000 movies – one movie apiece for the estimated 7,000 rare diseases that have been identified by medical researchers and physicians. The project is called 7000 Films! The founders of the festival are encouraging people with a rare disorder to submit short film clips to tell them about their stories. The organization has filmmakers at the ready, prepared to bring these stories to the big screen. This is only for rare disorders for which no film already exists. For more information, visit 7000 Films Wanted, at the website for the festival.